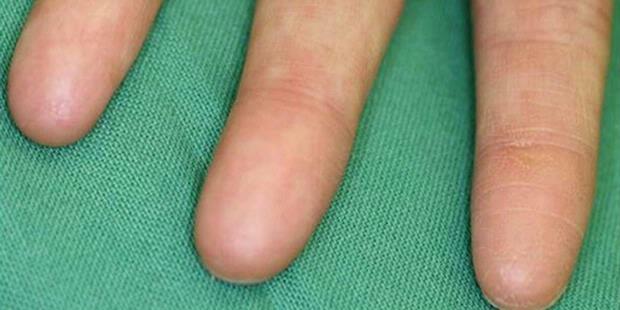 Conditions born without fingerprints called adermatoglyphia. how fingerprints could be the most important identity after the name, used from the population of interest to the job. But, what if someone was born without fingerprints? It turned out that such conditions actually found and called adermatoglyphia. Dr. Eli Sprecher, a geneticist at Tel Aviv Sourasky Medical Center in Israel, doing research on the causes that condition. He studied a family in Switzerland that half its members are born with the palms, fingers, feet, toes and smooth without any pattern. Sprecher research results published in The American Journal of Human Genetics. Based on his research revealed that adermatoglyphia caused by mutations in a gene called Smarcad1. Humans generally have a longer Smarcad1, or isoform, which is expressed throughout the body. Adermatoglyphia Smarcad1 in patients with mutated so that the fingerprint pattern was expressed. What impact did not have fingerprints? In health was not described. But, the family becomes the object of research Sprecher had experienced problems in the United States because immigration had no fingerprints. In addition, it is also hard to detect the identity of people with this disorder. “When taking fingerprints, instead we get a beautiful and distinctive patterns, but you will only see the stains,” says Sprecher. He said the research results provide new insights. “This is the first identification of an important element in the formation of fingerprints,” says Sprecher. Previously, only people fascinated with the beauty of the fingerprint pattern without knowing there is a cause specificity did not show up.